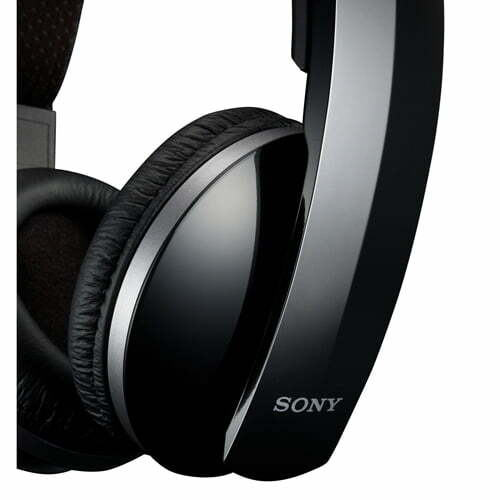 The Sony MDR-DS6500 Wireless Over-Ear 7.1 Surround Headphones are designed for use with your home theatre system. 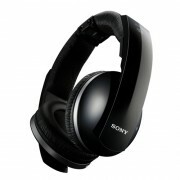 These Sony wireless headphones deliver 7.1-channel digital surround sound for a superior listening experience. Listen for up to 20 hours on one charge and enjoy high-quality audio thanks to premium neodymium magnets and 40mm driver units. 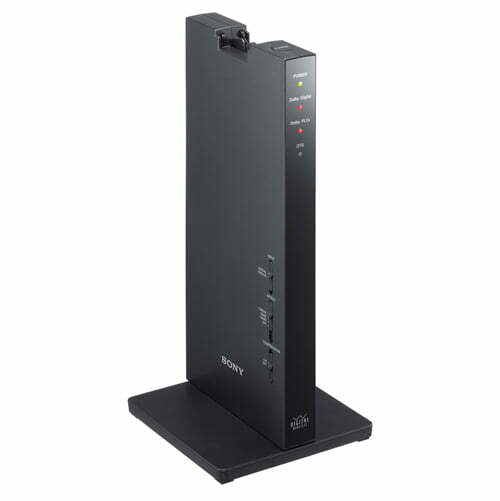 Enjoy optimal flexibility and freedom with a range of up to 328 feet from the transmitter in any direction. 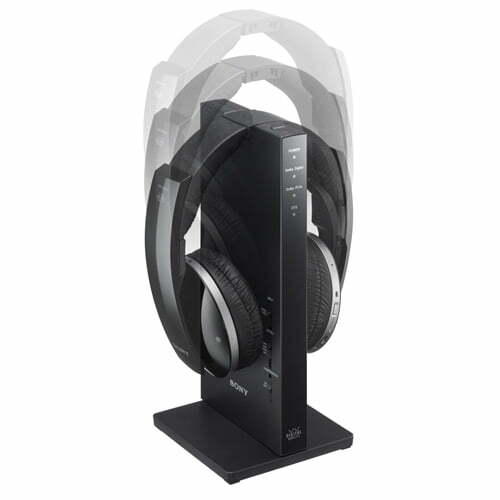 The headphones use 2.4GHz RF technology to provide a wireless range of up to 328′ away from the base station. 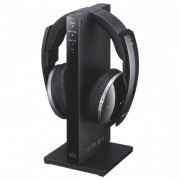 The headphones support Dolby and DTS digital surround technologies to provide a realistic experience that puts you right in the middle of your movies, games, and music. The headphones have large 40mm drivers with neodymium magnets to deliver crisp audio with a wide frequency response. The closed-back earcups and thick around-ear cushions provide a comfortable fit and excellent noise isolation, while the adjustable, padded headband provides a snug fit for virtually any head size. A built-in volume control lets you make convenient adjustments. A built-in Lithium-ion battery provides up to 20 hours of operation, and charges in about 3 hours. Simply place the headphones on top of the transmitter/charger base and they recharge automatically. An LED indicator lets you know when power is on. Sony Canada Limited Warranty 1 Year.